Our second batch of baby chicks hatched late Tuesday afternoon. This is the first time I've had two broody hens in one summer. This Buff Orpington Mama only had four or five eggs, and it looks as though two hatched. At least that's all I've seen so far because they tend to hide under Mama when I come near. The hardest part is keeping the adult hens out of the brooder area because I have yet to build something more permanent than a temporary barrier of hardware cloth. Thankfully, they're only interested in food, and not in giving the chicks a hard time. And our first baby chick? Growing up. There were times when I thought we'd never get this project done. We got the carpet last March but the job never seemed to make it to the top of the priority list. Finally Dan had some time off work so we were able to finally knock this out! We did it ourselves (Dan mostly) with the help of library books and YouTube videos. Here it is in pictures. bottom to secure the carpet. The carpet pad was cut and pieced to fit inside the tackless strips. Those pieces were secured together with duct tape. wrestled the carpet into the room. The carpeting was laid out. the carpet securely onto the tacks, i.e the tackless strip tacks. wrinkles in the carpet when securing it on the opposite wall. to tuck the edges of the carpet under. Still to install are the thresholds and the bedroom door. Not sure when we'll get to that but then I can show you my before and after shots. Some goats do not like being milked. I'm sure it takes some getting used to, but not all goats settle down once they've had plenty of time to get used to it. They fight it every step of the way. Such has been the case with Lily and Zoey, both of whom are getting milked for the first time this year! Even after milk stand training (see Fern's post at Thoughts From Frank and Fern), they didn't want to be milked. I priced hobbles, but don't have the cash at the moment to buy one. I did some online research and came up with one that uses something I already have, a dog leash. Nigerian, she can easily pull her head out. I have her secured with a 2nd dog leash. Credit for this idea goes to Rachel at the Butterfly Ball, although I did modify it. She put her goats' legs through the loop at the human end, but I didn't figure my girls would stand for having me do that. 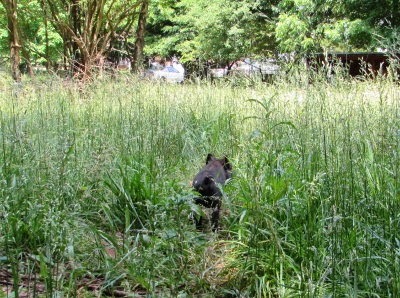 Instead I gently sneaked the leash around her legs and ran the long end through the hand loop. I snugged it up a bit and wrapped it a couple of times to secure it. Proper placement is key! Most photos show it low, around the pasterns. This may keep a goat from wandering too far if foraging, but to prevent kicking, the hobble needs to be above the hocks (back leg "elbow"). Thanks to Molly at Fiasco Farm for that tidbit. It's so nice to get milk without a foot in the bucket or having the bucket kicked over. Hopefully the girls will settle down soon and get used to joining Surprise in the milk goat ranks. In addition to making mozzarella, I'm ready to try my hand at a few more new cheeses. I found this list in my drafts folder. It's a collection of links I gathered last year, when I was considering using these plans to build my own solar oven. These are in addition to the links I gave you in my "Crossed Off My Wish List - A Solar Oven!" post. For anyone interested in solar cooking, I hope they are useful. REMINDER: You can get an $80 discount on a Sun Oven by going to this page and entering the discount code "FiveAcres" at check-out. I am not a Sun Oven affiliate and get no sales fees for this offer. I'm just passing it on to you. Code expires June 30. A few updates all rolled up into one post. I think this is the prettiest corn we've ever grown. Mama and Lone Baby Chicken are doing well. This is the first time I've had a chick be so well received by the rest of the flock. No one pesters or even pays any attention to the chick, even Rooster Man! Plus, I have another broody hen. I gave her half a dozen eggs. And, I have another broody hen. Due to hatch June 25. This is the first time I've had more than one broody hen in a summer! View from the back side before the gate was installed. After finishing the chicken coop Dan wanted to take a break from building. The current project is fencing (again). First thing done was to finish putting up the privacy fence on the other side of the house. On the Master Plan, this is on the right side of the house for the area labeled "bird garden". This will hopefully be an outdoor relaxation area since we have no back yard. It would be nice to sit out and enjoy the weather some times! Cooking freshly harvested potatoes for potato salad. A 100% solar cooked meal: chicken, carrots, turnips, and potato salad. I'm using the solar oven every day unless it rains or rain looks imminent. Dan finally got the screen door hung on the back porch. I am really, really happy about this. Since my non-air conditioned back porch / laundry room is also my summer kitchen (when I can't use the solar oven) plus my canning kitchen, I need all the access to cooler air I can get. We hung the kitty door bell on it because the kitty door (under the bench on the left) is one-way only these days, out. That's because all three cats like to bring their catches (usually live) onto the back porch! The door still has to be painted, and we'll need something to protect the screen from claws, but at least it's up. 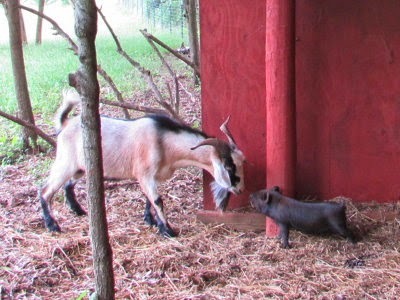 I just did a pig update, but couldn't resist passing on this shot. For some reason his water dish is preferable to the little mud hole we made. What a pig. So we decided to call our pig Waldo. We're still looking daily for a mate for him. In the meantime, he hangs out with "the boys". Life is good for a little pig. Something I've had on my wish list for awhile is a solar oven. Last summer I planned to make my own windshield shade solar cooker, with directions found at the Solar Cookers World Network, but we had such a cloudy, overcast, rainy summer that I didn't bother. I hadn't given it a thought so far this year until a couple weeks ago, as I was waiting for my interview on the Homestead Honey Hour. I was listening to the adverts and one was from Sun Oven. 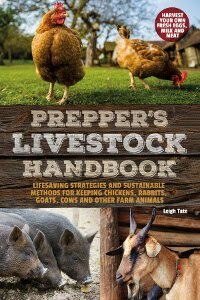 They were offering a discount for Prepper Broadcasting Network listeners. Never one to pass up a bargain, I decided to look into it. I read through their website carefully and then did a little more research. The most helpful information came from a solar oven comparison page, where even the cons for the Sun Oven weren't so bad. The other oven I considered was a SunCook, which Dani at Eco Footprint ~ South Africa has. I've read her blog for a long time and so trusted her recommendation. The price was considerably higher, however, probably due to shipping because they are manufactured overseas. In the end, I used the discount code from the radio show and got $80 off the All American Sun Oven with dehydrating and preparedness accessories, plus free shipping! Quick update: I've been authorized by Sun Oven to offer my blog readers an $80 discount like the one I used. 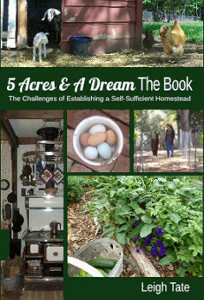 Go to this page, and enter the discount code "FiveAcres" at check-out. Offer expires June 30. In my excitement I don't want to sound like a commercial, so I'll let you read the convincing sales pitch for yourselves here and here. I will show you some basic features. The oven can be used for either hot or slow cooking. For maximum oven temperatures, it must be kept aligned with the sun, of course, which requires adjusting its position every half hour of so. In some ways, this is no different than cooking on a wood cookstove, which also requires constant attendance to keep a steady heat. It's easy though, align by standing behind the oven, turning until the shadows are equal. In addition, the oven can be raised or lowered to maintain alignment with the sun. Back view with adjustable alignment leg. This is done with the adjustable leg in the back of the oven. The Sun-track indicators on the bottom corners of the oven door (shown below) help adjust to the optimum position. When the dot of light is over the hole, the oven is aligned with the sun for the hottest cooking temperatures. To maintain a level cooking surface, the oven comes with a leveling rack. It hangs from threaded rods on the inside of the oven and remains level no matter the angle of the oven. The advertising said the oven maintains an even heat throughout. heat means there are no hot spots which means no burning of foods. Mine came with two bread pans and two enamel cooking pots in addition to the dehydrating racks. Dark pots and pans are recommended, such as cast iron, with lightweight pots heating up faster. The oven is portable, folding up with a handy carrying handle. It weighs 21 pounds, which isn't featherweight, but neither is it too heavy to transport easily. Curious Katy sneaking a peek. I have found this to be true as well, but I do need hot pads to handle anything inside the oven. My first project was a loaf of solar bread! My first loaf of solar bread. It baked perfectly in exactly the same time it takes in a conventional oven. The next day I baked brown rice and frozen (cooked) meatballs. The sun was intermittent, so I had to finish it up on the stove, but I'm learning. According to the advertising blurbs, I could have started my rice much earlier with out worry of burning because of the moist, even cooking heat. Even though I got the dehydrating kit, I'm a little dubious about that because we can have some terrible summer humidity here. With blueberry season starting soon, I'll be able to put my oven to the test as a solar dehydrator. The oven came with a CD containing the same videos as the website and also a cookbook. It's actually cooking software, but for Windows or Mac. Since I'm a Linux gal (see Frugal Computing), it isn't much use to me. We took a look at it on my daughter's computer, but in the end I bought Dani's solar cooking and recipe collection, Free From The Sun. Besides her very inviting recipes, it contains good basic solar cooking information plus lots of tips. I'd also recommend checking out all her solar cooking blog posts. Besides cooking for free ( ), the best part was not heating up the house, or in my case the back porch summer kitchen. That means a double savings of energy because it means not having to re-cool the house! We figured out awhile back that going completely solar is highly unlikely for us. But that doesn't mean we can't utilize solar wherever we're able! And, like our walk-behind tractor, my solar oven was purchased with royalties from my book. I could insert another Happy Dance Penguin for that, but instead, I'll just say thank you to everyone who purchased a copy! 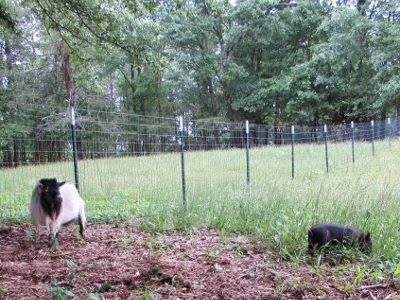 Getting pigs has been one of our yearly homestead goals for several years. 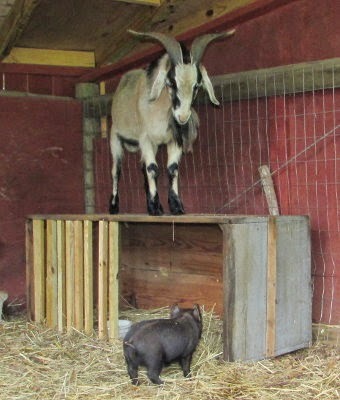 Considering our goal of having a self-sustainable food supply, I always figured we'd eventually keep a breeding pair, but considering our lack of experience with pigs, I also figured we'd start out with a couple of "practice" pigs which we'd raise for the learning of it. 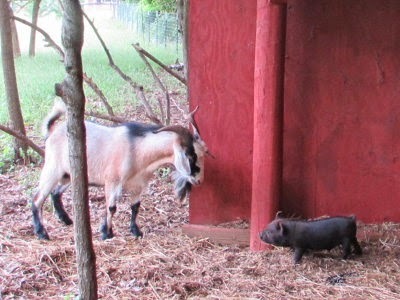 I've looked for young pigs from time to time, but have always been dismayed at the price. 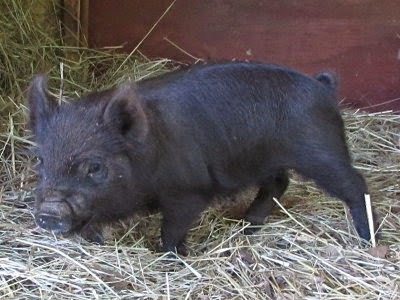 Seems the "going rate" for a weaner pig runs in the hundreds of dollars. To buy and fatten a couple for the freezer, adding on killing and butchering fees (since most folks don't do the deed themselves), doesn't seem a very economical way to have pork. I began to wonder if I shouldn't just look for a pair to breed anyway. Breed was a consideration, especially after hearing so many horror stories about aggressive pigs. A heritage breed was a must, as commercial breeds are developed for production rather than other purposes. Initially I wanted Red Wattles, but soon learned that there were none to be had anywhere near me nor neighboring states. Then I started to get suggestions from readers about American Guinea Hogs. 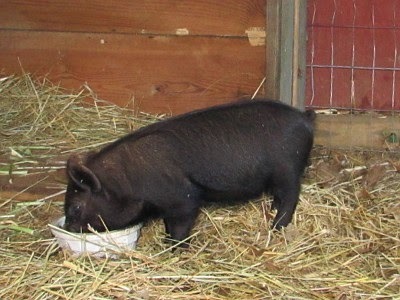 The American Guinea Hog is a true American heritage breed, developed right here in the southeastern United States. 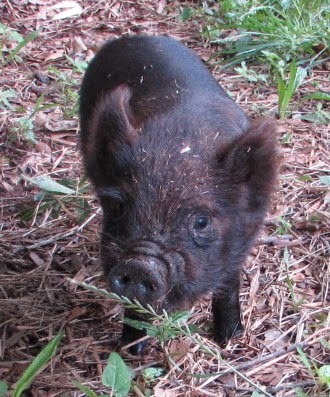 Listed as "threatened" by The Livestock Conservancy, they are an ideal homestead pig: small (adult weights approaching only 200 pounds), docile, friendly, excellent foraging pasture pigs. I have been keeping an eye on craigslist for a pair of these, i.e. an unrelated male and female. When I found them I was delighted. 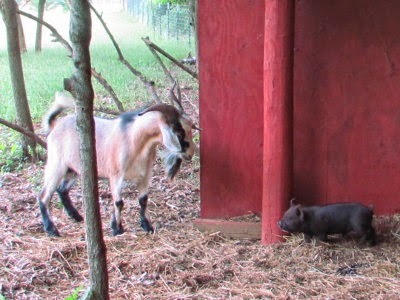 Unfortunately it didn't work out for the female, so at the moment I have only one lone little boy pig. He spent his first day looking for someone or something familiar. He came from a place with Nigerian Dwarf goats so he was at home with my billy boys. The billy boys weren't too sure about him. He's a very busy little fellow, always on the move, always eating, always grunting with an occasional squeal and rare bark. He comes running when he sees me with his dish of table scraps and whey in the morning. He adores the whey and slurps it right down. He burrows in the straw at night between the hay feeder and the goats' sleeping pallets. We tried to make him a mud hole but his water dish will do just fine to cool off in, thank you very much. He appears to have made himself right at home. 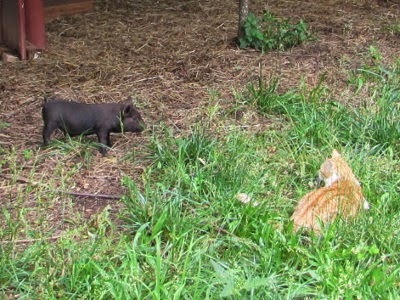 Even so, pigs are companionable animals and not loners. It is better to have at least two. I've been told that for those being raised for meat, having competition for the food makes them gain weight quicker. This pig is for breeding, so that's not an issue, but, 1 + 0 ≠ more pigs! He needs a sweetheart. Hopefully I'll find him one soon.